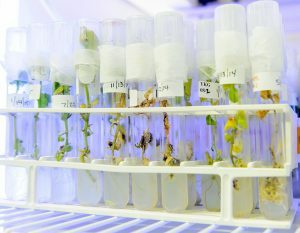 The College of Agricultural and Life Sciences at the University of Wisconsin-Madison is an engine of scientific discovery fueled by talented researchers and top-notch students. With scientists working across the spectrum of agricultural and life sciences, CALS is well-positioned to discover interdisciplinary solutions needed for today’s grand challenges. We partner with communities, industry, other universities, government agencies and nonprofit groups to tackle emerging challenges in areas where we have the potential to make significant impact. The CALS Research Division webpage has information about research funding opportunities. For information about recent research advances, please visit the CALS News website. Major discoveries from the past can be found on the CALS History page.